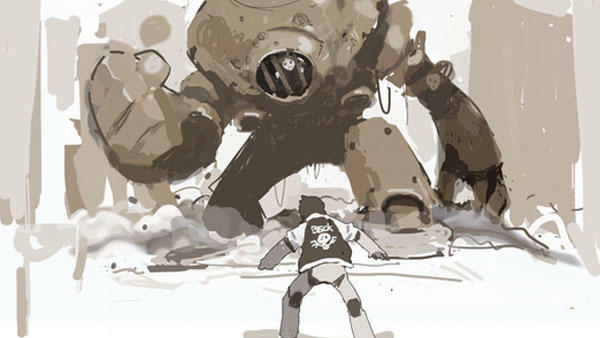 RED ASH, the video game Kickstarter fiasco from Mighty No. 9 developer Comcept, has yet to put out any screenshots, gameplay videos, or information whatsoever despite securing necessary funding through shady Chinese “publisher” Fuze Entertainment. This was all a year and a half ago, and Comcept even helped make ReCore in the meantime. 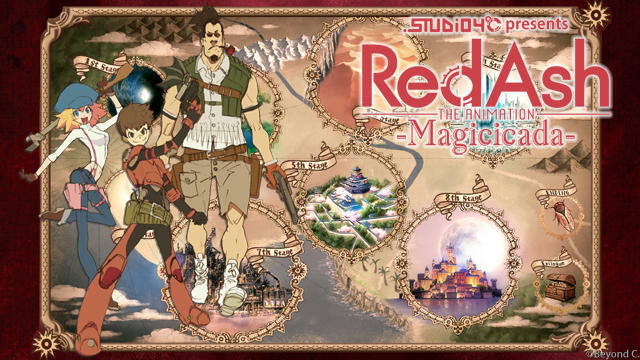 Somebody forgot to tell anime studio STUDIO4℃ that this whole franchise has been a disaster in the making. 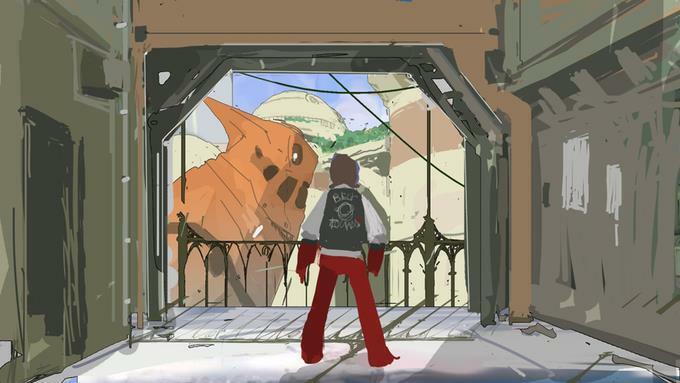 It is still plugging away at a RED ASH spin-off anime that actually succeeded on Kickstarter. 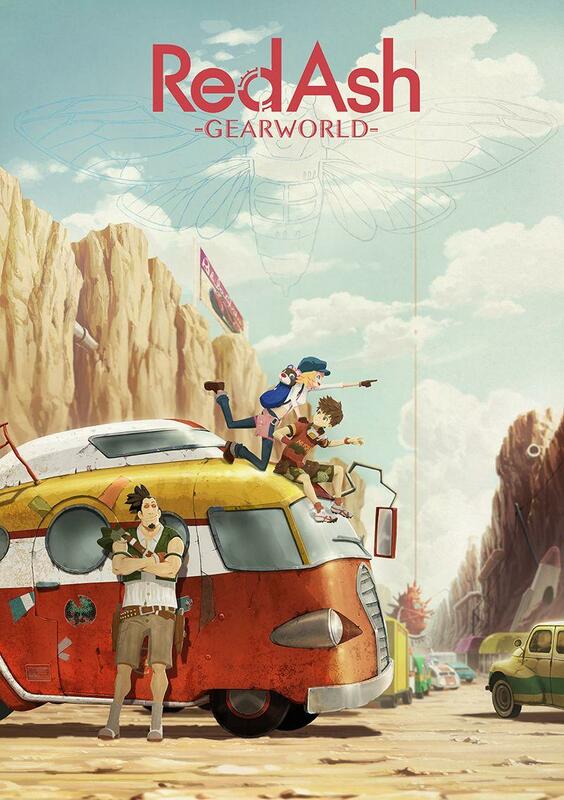 According to The Mega Man Network, Red Ash -Magicicada- has been retitled to Red Ash -Gearworld-, and it even has new art and an official plot description to back up its film project. 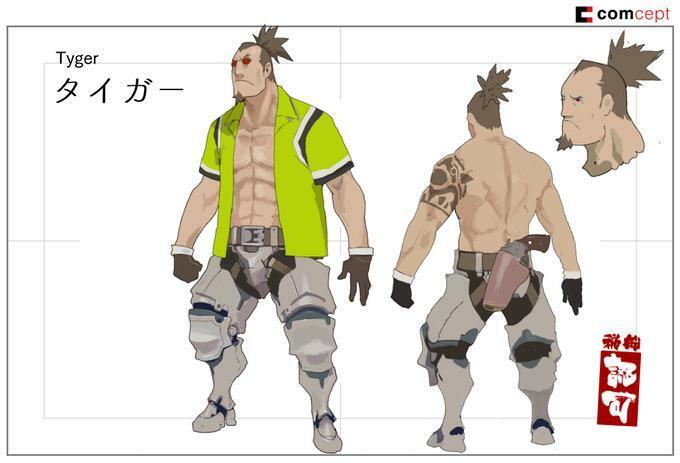 In a future society where nanomachines have become incorporated into genes, the “Nano race” who possess special abilities are oppressed and discriminated against by the “Pure race” of normal humans. 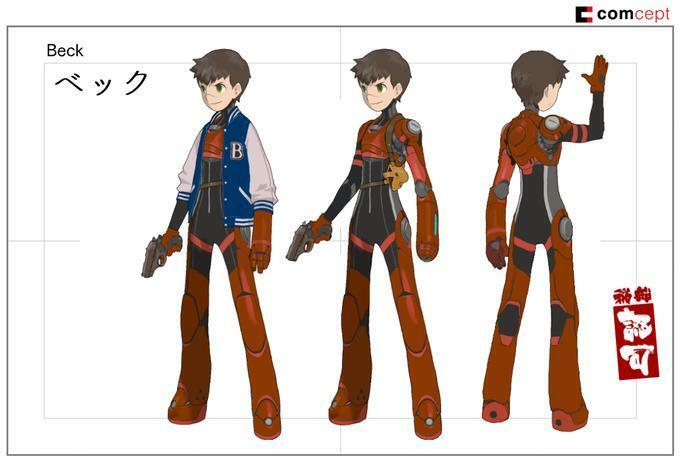 Among the Nano race is the young lad named Beck, a hunter of legend who possesses the special ability of “Red Ash” transformation. 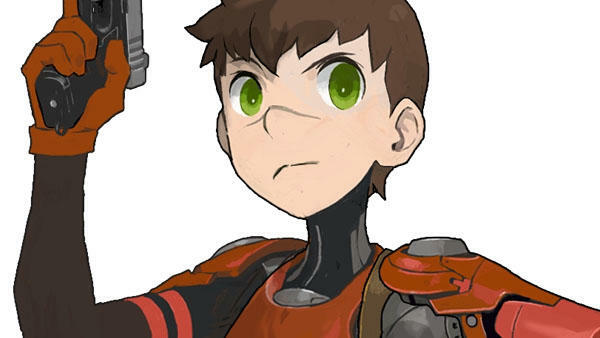 In order to pay for the costly operation that would allow him to become a member of the Pure race, Beck and his mechanic companion, a large but timid fellow named Tyger, have taken on dangerous work zipping to the old world in their Parallel Machine. Then one day, they suddenly cross paths with a young lady named Call who is being chased by Safari and Stripe, a mysterious pair of crooks. Thrust into a mixed-up situation, together they zoom off to Gearworld, but are pursued relentlessly by the shady duo and their leader Deny, who ultimately commence an attack on Beck and his companions…! 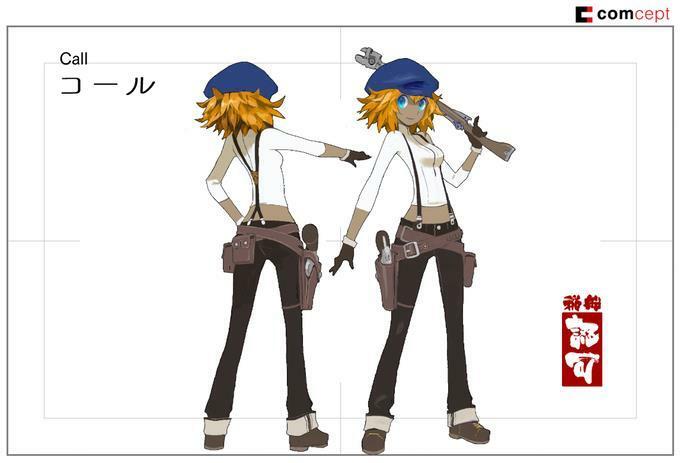 Is there still a chance that RED ASH the game gets made? 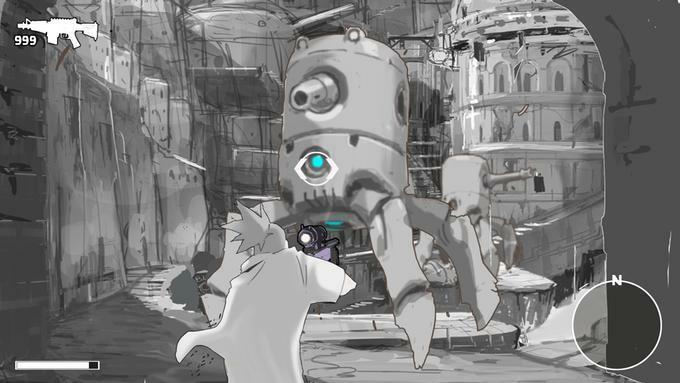 RED ASH was created as a pet project by Comcept’s Keiji Inafune as a game for the fans of Mega Man Legends. It followed a similar line of thinking as Mighty No. 9 did for classic Mega Man games, but it didn’t catch on with Kickstarter backers in nearly the same way. Despite it’s failure, the anime succeeded, and STUDIO4℃ seems dedicated to finishing its project. Who knows? 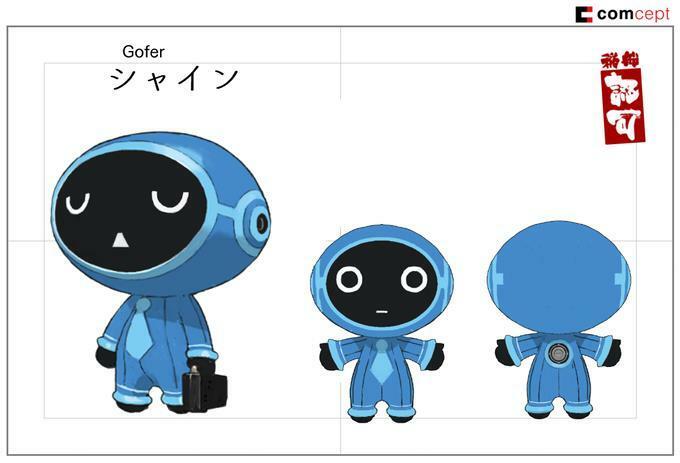 If the anime becomes a success, maybe Inafune has plans to make the game after all. Just as long as he leaves his “publisher” behind.